[Here is George Burns whom I at one time also liked. But these days I check everyone famous to see who is a Jew and famous name after famous name turns out to be a Jew. Here is a comedian who carried on into very old age and he’s a Jew. There was a famous comedian in Denmark whom I used to hear about when I was a kid Victor Borge. He was a “Danish Comedian” and when I looked at his background, there it is, he’s a JEW! 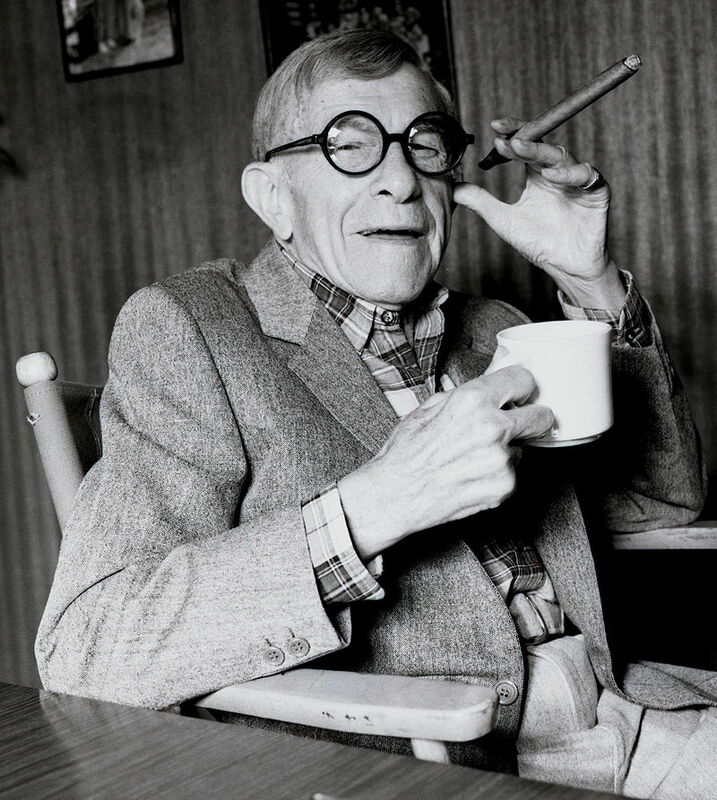 George Burns was born Nathan Birnbaum on January 20, 1896 in New York City, the ninth of 12 children born to Hadassah “Dorah” (née Bluth; 1857–1927) and Eliezer Birnbaum (1855–1903), known as Louis or Lippe, Jewish immigrants who had come to the United States from Kolbuszowa, Galicia. Burns was a member of the First Roumanian-American Congregation. So George Burns, real name Nathan Birnbaum is a filthy Jew from Eastern Europe. Now Burns made an interesting remark about the need to fake sincerity in acting. Now this may be true for acting, but in reality this is what Jews do in everything. According to Q.I, the octogenarian comedian George Burns mentioned a similar line in his memoir titled, “The Third time Around“. While, I managed to seek out the actual quote from his other book “The Most of George Burn” published on 1991. It is on page 469. 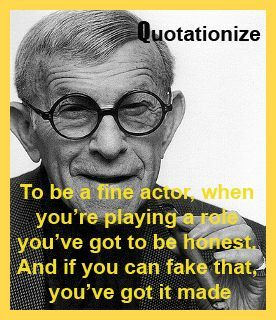 And remember this for the rest of your life: To be a fine actor, when you’re playing a role you’ve got to be honest. And if you can fake that, you’ve got it made. Here is the link to the page of “The Most of George Burns“, where you can see the actual above quote. They also mention that others have said similar things including the Jew Samuel Goldwyn who was a big name in Hollywood as well as Groucho Marx who was also a Jew. Although non-Jews have said this (I think) there are definitely other Jews who’ve said it including George Burns himself. The importance of the Jew is in realising that Jews are insincere towards civilisation, nations and the people they live amongst. The Jews do ANYTHING for money and power and whatever lie they need to tell they do. And when they’ve done all these things they just laugh at the misfortunes they’ve brought on the societies they’ve lived in. They don’t care. They are only out to get what they can for themselves, no matter what. This is what our European brethren learned to their great cost across Europe for CENTURIES and which brought with it much bloodshed. Jan.